Circa 1910 photograph of 3 year old twins Doris Edna Challans and Morris Edward Challans of Waverly, Illinois. 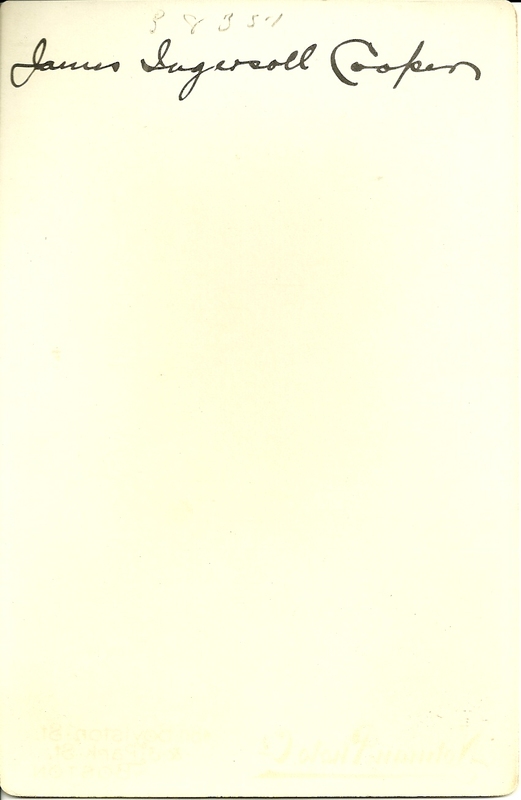 No studio marking on the photograph. 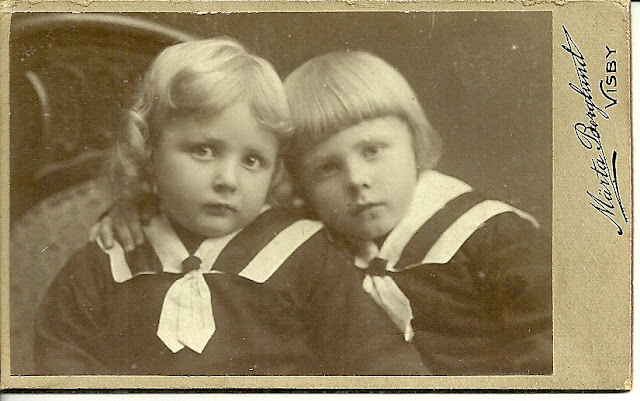 Doris Edna Challans and twin brother Morris Edward Challans were born 26 November 1907, possibly at Waverly, Illinois. Their parents were John Richard Challans and wife Fanny Jane (Taylor) Challans, both Illinois natives. The twins' paternal grandparents were George and Mary Ann (Woodcock) Challans. Their maternal grandparents were William and Alice (Harris) Taylor. All of their grandparents were born in England, but died at Waverly, Illinois. Sadly, Morris Edward Challans died before his fourth birthday, on 17 January 1911. About 1922, when she was 14, Doris Edna Challans married Ora Lee Vankirk (or Lee Ora) of Missouri. He was born 10 May 1901 at El Dorado Springs, the son of Henry Mills Vankirk and wife Allena Leota (Scott) Vankirk. In the 1930 Census, Doris and Ora Lee were living at Elgin, Illinois, with three children listed with them. Also in their household were Doris' father John Challans and Ora Lee's brother George and his wife and two children. 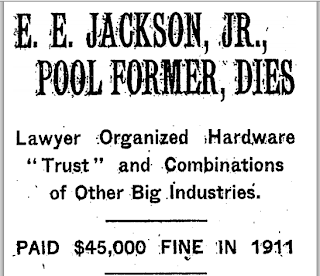 If I'm reading the entry right, Ora Lee was a chrome plater, as was his brother George. Doris Edna (Challans) Vankirk died fairly young in 1951. Ora Lee was not far behind her, in 1959. If you have any corrections, additions or insights regarding any of the information presented here, please leave a comment or contact me directly. Photograph of an earnest young man identified on reverse as "Ben P. Potter, Bill's father". The photograph was taken by a studio in Fond du Lac, Wisconsin. 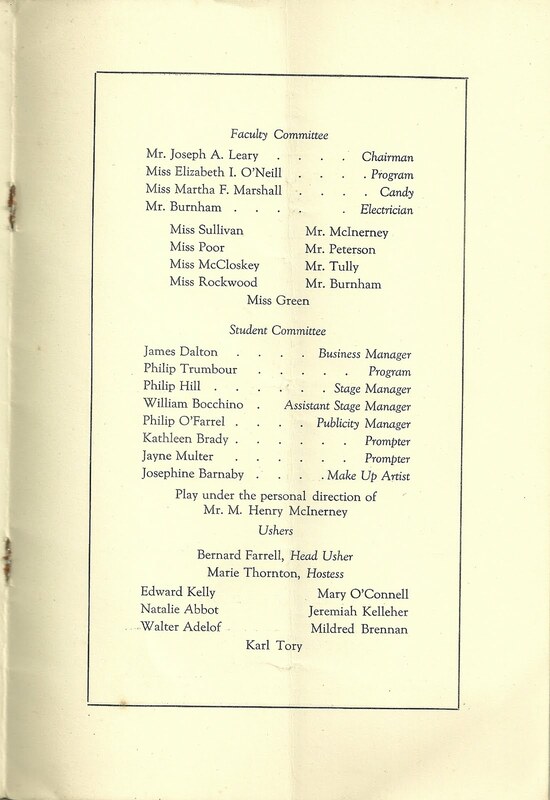 Benjamin P. Potter was born 25 July 1886 at Eden, Wisconsin, the son of Benjamin F. (also known as Bernard) and Catherine "Kate" (Mullen) Potter, born in Wisconsin and Massachusetts respectively. 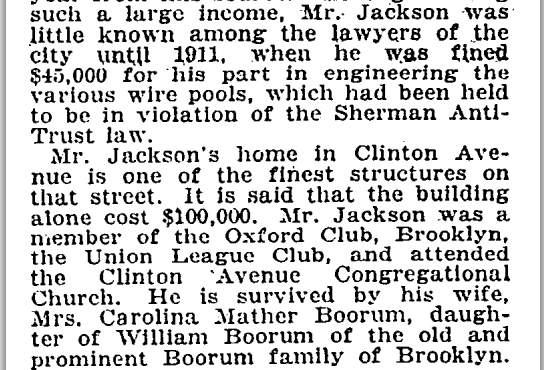 His paternal grandparents were Benjamin W. and Achsah (?) Potter, born in Connecticut and New York respectively. His maternal grandparents were Patrick, an immigrant from Ireland, and Mary (?) Mullen. I believe that all four grandparents found their way to Wisconsin. About 1909, Benjamin P. Potter married Elsie L., who was born about 1890 in Wisconsin. I haven't yet found her maiden name or parents. The son "Bill" mentioned on the photograph was born abut 1914 in Wisconsin. The 1930 Census shows Benjamin, Elsie and son William living at North Fond du Lac, Wisconsin. Benjamin's occupation is listed as grocery store manager. 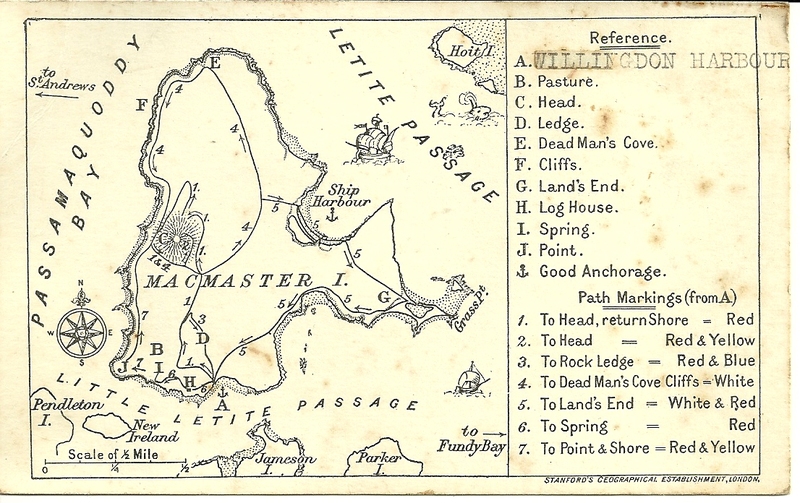 Vintage postcard sized piece of MacMaster Island, situated in Passamaquoddy Bay near L'Etete and Little L'Etete Passages and St. Andrews, New Brunswick, Canada. 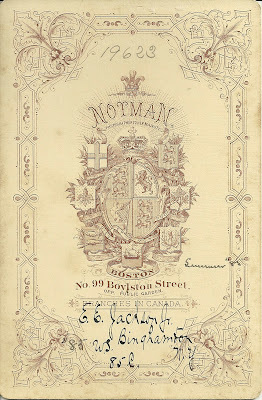 The card was printed by Stanford's Geographical Establishment, London. There's nothing printed or written on the reverse. Someone appears to have typewritten over whatever was the original Letter A entry and substituted Willingdon Harbour, on the Little L'Etete Passage side. Just for grins and giggles, I searched online for a Willingdon in New Brunswick and discovered an interesting reference where the Viscount and Viscountess Willingdon arrived at Saint John, New Brunswick on the "Lake Drake" from Demerara, Guyana on 14 January 1930. The Viscount was the Governor General of Canada at the time. 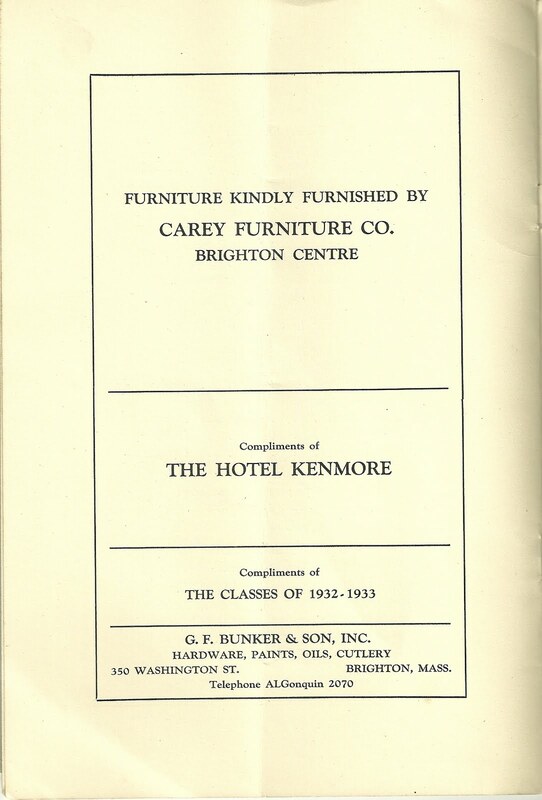 Whether or not Willingdon Harbour had anything to do with the Governor General, here is a biography of Viscount Willingdon. 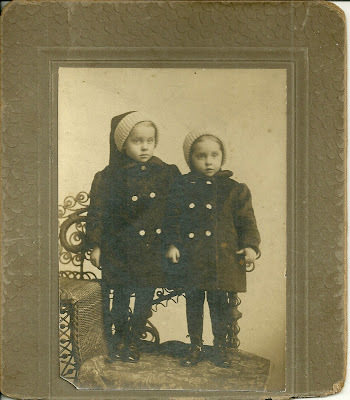 Photograph of adorable brothers identified as Otto Wilhelm Birch and Carl Erik Birch. The photograph was taken by the studio of Marta Berglund of Visby. I could find nothing about these boys online. Using the Swedish word for Birch, however - Bjork - I found a reference to brothers, Otto Wilhelm Bjork and Karl Erik Bjork on a 1926 passage of the SS Drottningholm from Gothenburg to New York City. The boys were with their mother Jenny, who indicated that she was widowed, that her mother was Johanna Stromberg from Sannas, Sweden, and that she was headed to Tomkinsville, New York. Visby is on the island of Gotland on the opposite shore of Sweden from Sannas, but the family could have moved in the meantime. Perhaps a reader will have an insight into whether the Bjork boys are in fact the Birch brothers. 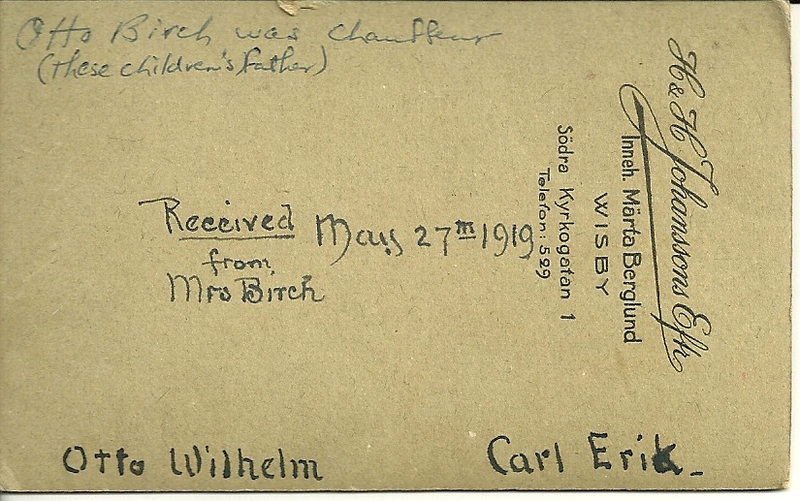 The boys' father, who gave his name as Carl Otto Birch, completed a World War I draft registration card on 31 May 1917 at Northampton, Massachusetts, while employed as a chauffeur by the Frank Lyman family of Northampton and Brooklyn, New York. He indicated he was born on 2 February 1889 at Visby, Sweden, and was married with two children. As the reverse of the photograph indicates, it was received by the Lyman family from Mrs. Birch on 27 May 1919, I'm assuming in a letter. The Lymans were Frank Lyman and wife Florence Chapin (Moodey) Porter Lyman of Brooklyn, New York, and Northampton, Massachusetts. Florence had previously been married to attorney Charles Wendell Porter, who died at their summer home in North Perry, Maine, in September of 1899 from what was termed an accidental discharge of his gun. After Florence's marriage to Frank Lyman, the family continued summering at North Perry. Perhaps the Birch boys and their mother had stayed at Visby while Carl Otto Birch went to the United States to work so that he could send money back home and/or save up for his family's passage. Or perhaps the family was in North America all along. Or perhaps it was not Carl Otto Birch's intention to settle in the United States but only to get a bit of a nest egg during what were difficult economic times at home. Again, I hope a reader will be able to fill in the blanks. I found a 1927 reference for a Carl Birch who entered the US at Buffalo, New York, from Ontario, in the hopes of finding work. He gave his occupation as bricklayer, his date of birth as 1889 and his birthplace as Dalama, Sweden. I'm included to think this is not our Carl Otto. If it is, the boys on the Drottningholm were not our boys as their mother indicated she was a widow. If you have any insights into the identity of the brothers, please leave a comment or contact me directly. Thanks for stopping by! 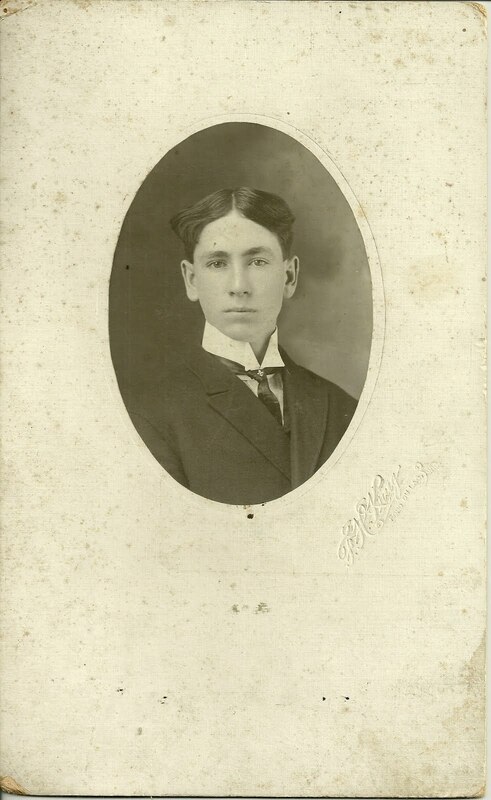 Photograph of a young man identified on reverse as E. E. Jackson, Jr. of Binghamton, New York. 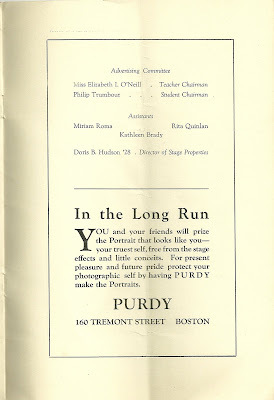 The photograph was taken by the J. Notman Studio of Boston, Massachusetts. 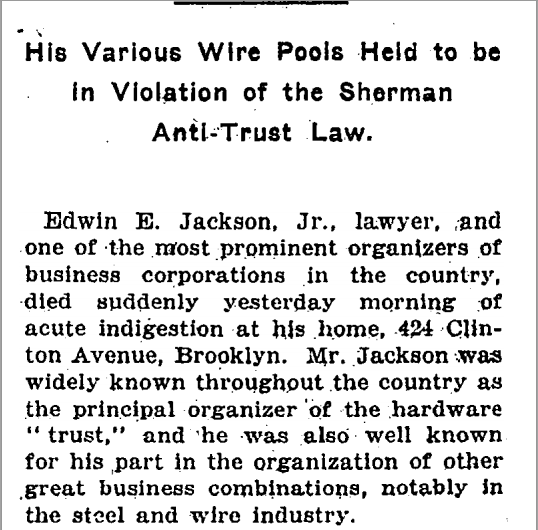 From online research, I found E. E. Jackson, Jr. to be Edwin Eliphalet Jackson, Jr., who became a noted lawyer in New York City. 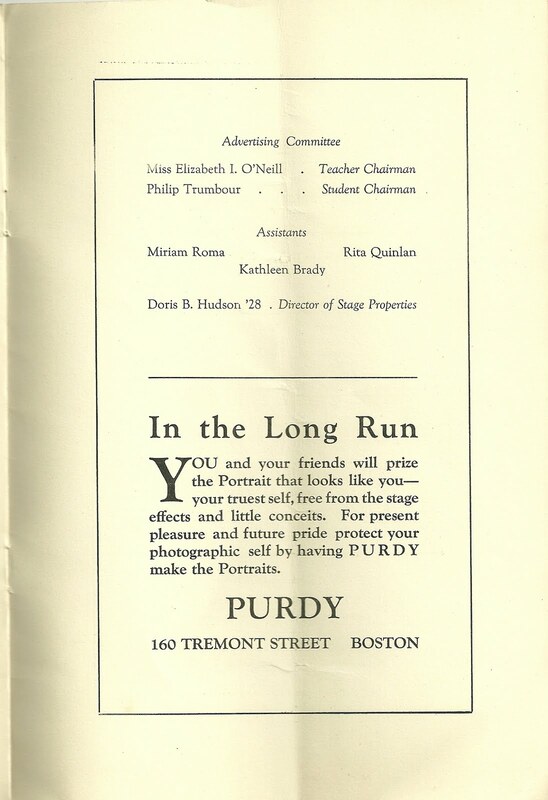 The photograph was found with photographs and papers of Amherst Class of 1889 graduate, Charles Wendell Porter. There are several photographs of other Amherst Class of 1889 graduates and some of young women, at least one of which notes that the subject was a Smith freshman, but most are unidentified. 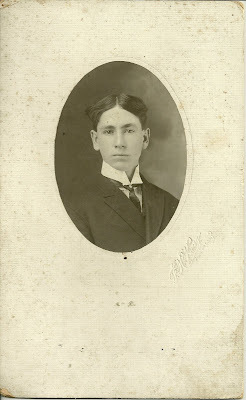 From the markings on the back of the photograph, and from Edwin's youthful face, I'm assuming this photograph was taken in 1885 when he was a freshman. Edwin Eliphalet Jackson, Jr., was born 31 October 1866 at Binghamton, New York, the son of Edwin Eliphalet Jackson and wife Nancy Louise Mather. 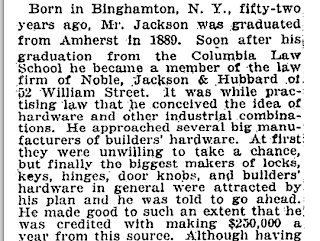 His paternal grandparents were Rensselaer and Lydia M. (Coman) Jackson. His maternal grandparents were Richard and Caroline (Whiting) Mather. After graduating from Amherst College in 1889, Edwin went on to Columbia Law School and from there to employment in New York City. 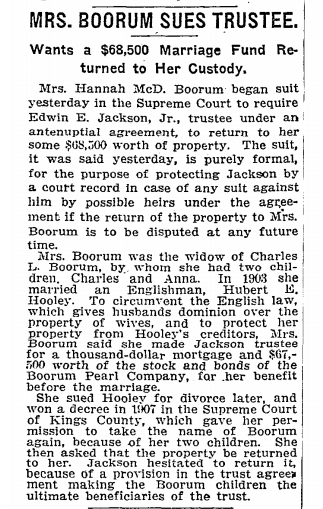 On 25 January 1893, he married Caroline Mather Boorum, daughter of William Burger Boorum and wife Amelia Ogden (Whiting) Boorum. I don't believe they had any children. His parents faced much tragedy. Of their five children, three died young. 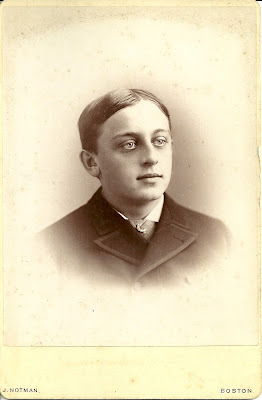 Edwin's younger brother Ernest Smith Jackson, who also graduated from Amherst College and became a New York City lawyer, died of pneumonia at the age of twenty-eight in 1899. Edwin's Amherst and Columbia classmate Charles Wendell Porter also died in 1899, from the accidental discharge of his gun. 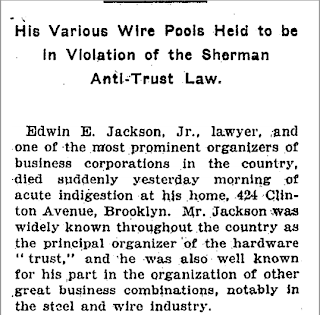 Edwin Eliphalet Jackson, Jr., had a noteworthy, and occasionally controversial, career, as his obituary in the New York Times indicates. He died at the age of fifty-two on May 26, 1919. Photograph of a man identified on reverse as James Ingersoll Cooper. 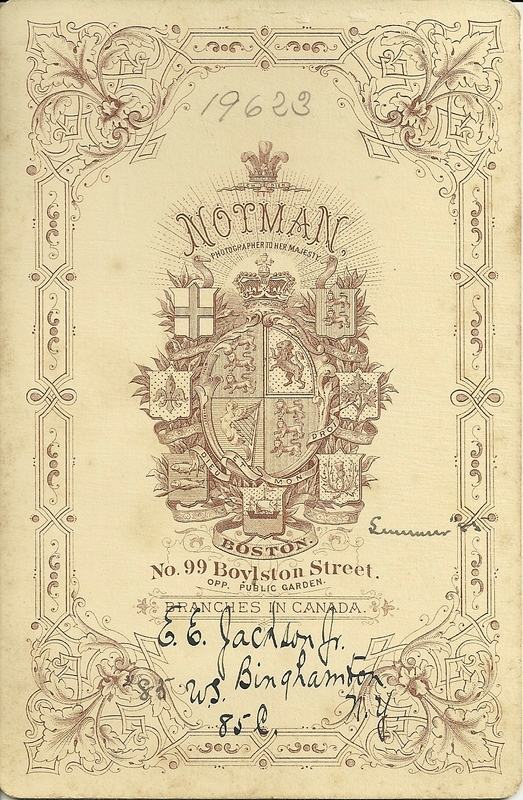 The photo was taken by the Notman Photo Company of Boston, Massachusetts. 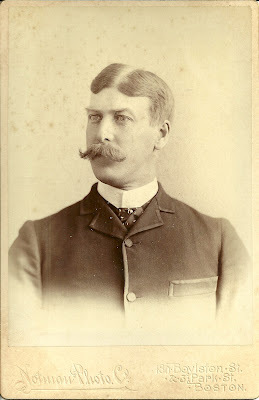 James Ingersoll Cooper was born 7 April 1849 at Calais, Maine, the son of James Sullivan Cooper and second wife Abigail Ingersoll (Girdler) Cooper. His paternal grandparents were John and Elizabeth (Savage) Cooper. 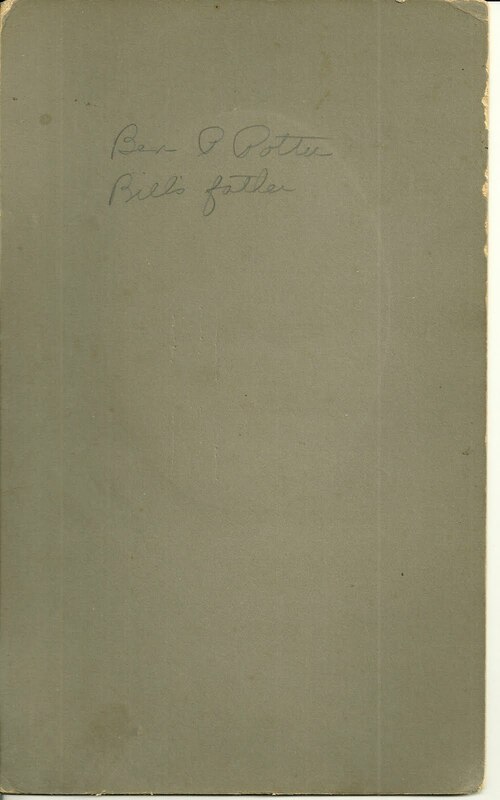 His maternal grandparents were John and Abigail (Ingersoll) Girdler. 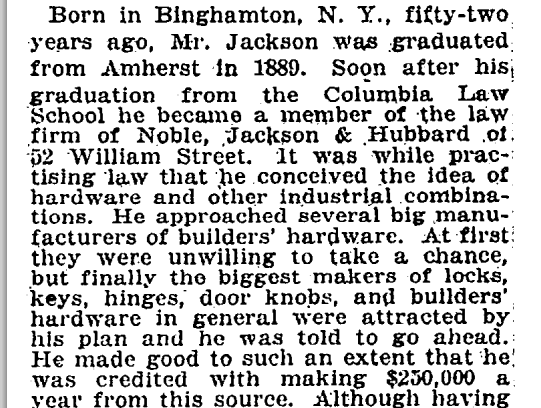 In 1866, James' father James Sullivan Cooper moved the family to Amherst, Massachusetts, with the intention of having his sons James and Charles Wendell Cooper graduate from Amherst College. They graduated in 1873, but their father had not lived to see the day. James Ingersoll Cooper sought additional training in the field of law and eventually became a lawyer in practice with poet Emily Dickinson's brother William, at Amherst, Massachusetts. Brother Charles Wendell Cooper went off to Harvard Medical School and graduated from there in 1877. He returned to Amherst to practice and became the Dickinson family physician. He married a distant cousin, Elizabeth Savage Porter, the daughter of John Cooper Porter, who was born in Machias, Maine, in 1825, not far from Calais, Maine, but who had moved to St. Louis, Missouri to seek his fortune. Daughter Elizabeth was born there in 1853. It would be interesting to know how she and her future husband Charles Wendell Cooper met - perhaps at a family reunion in Maine? I don't believe that James Ingersoll Cooper ever married. He died at New London, Connecticut on 14 August 1922, at the age of 73. 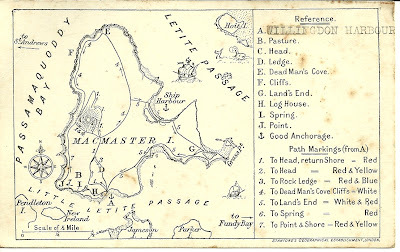 More information on James Ingersoll Cooper is available at the Maine and Maritime Canada Genealogy network. Card, approximately 6" by 3-1/2", showing the teacher, trustees and students of the Flat School at Cambridge, Maine, for the school year April 26, 1915 to January 28, 1916. 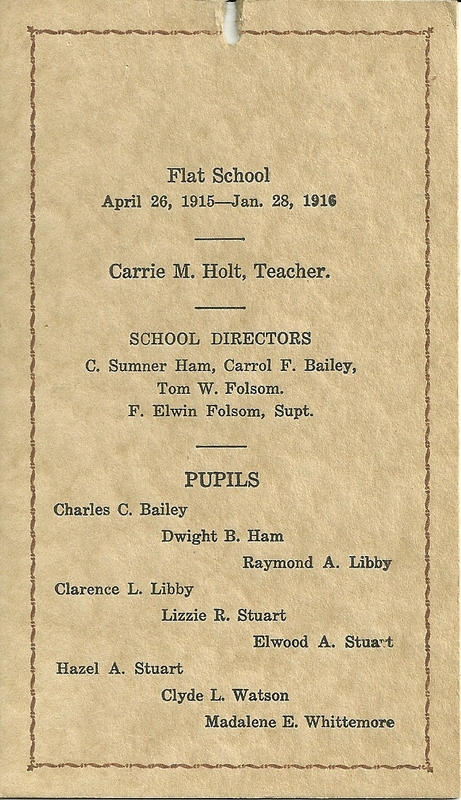 The teacher was Carrie M. Holt. See another post that features a photograph of Carrie May Holt in a buckboard with her future husband Walter Glenwood Ring. 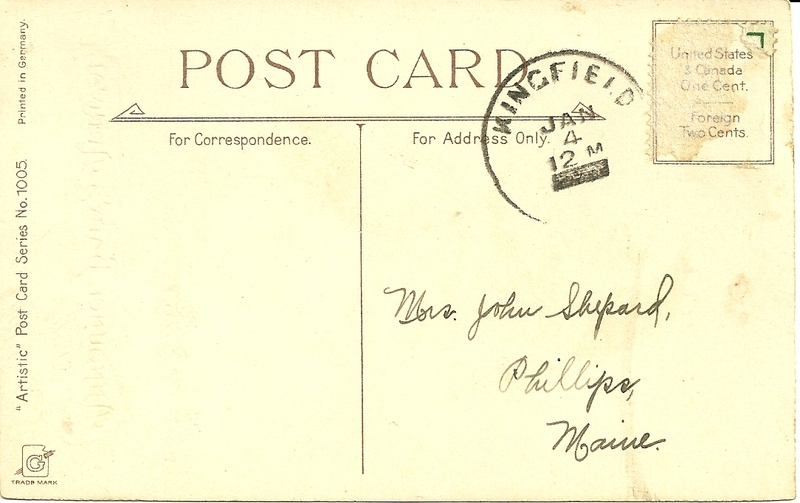 Carrie married Walter on 18 March 1916, not long after the end of the term indicated on this card. 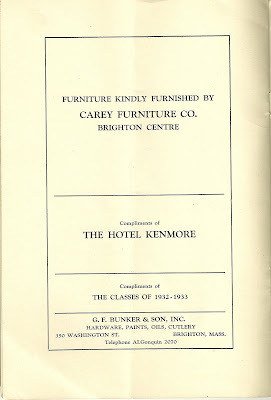 The earlier post contains some other items relating to Cambridge and Dexter, Maine. 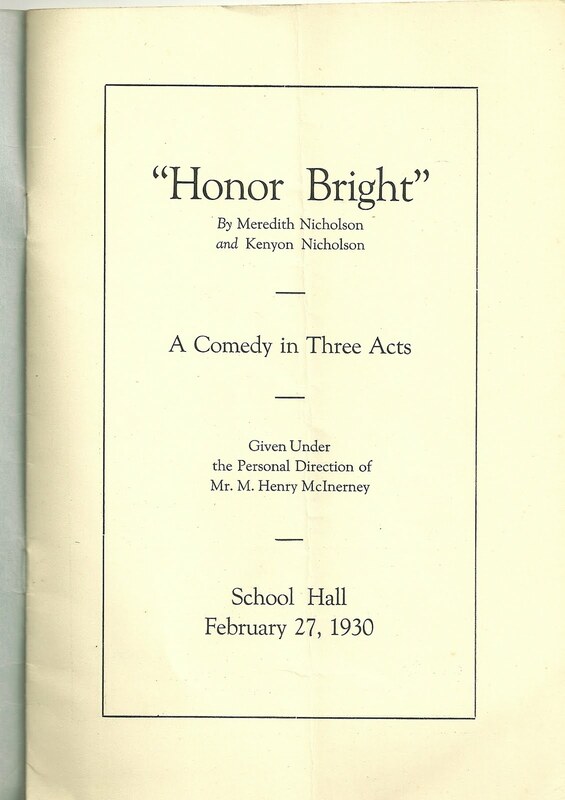 School Director C. Sumner Ham was Charles Sumner Ham, born 6 December 1871 at Cambridge, Maine, the son of Charles and Harriet Maria (Kittredge) Ham. On 24 June 1896, Charles Sumner Ham married Alta Ethel Morrill, daughter of Floriman and Mary S. (Leavitt) Morrill. Charles Sumner Ham was a farmer; he died in 1953. 17 December 1910: Edna M. Lowell, born at Cambridge, Maine, daughter of John A. and Flora J. (Wilder) Lowell, with whom he had another son. Carrol Francis Bailey farmed in Cambridge. He died at Hartland, Maine in 1960. 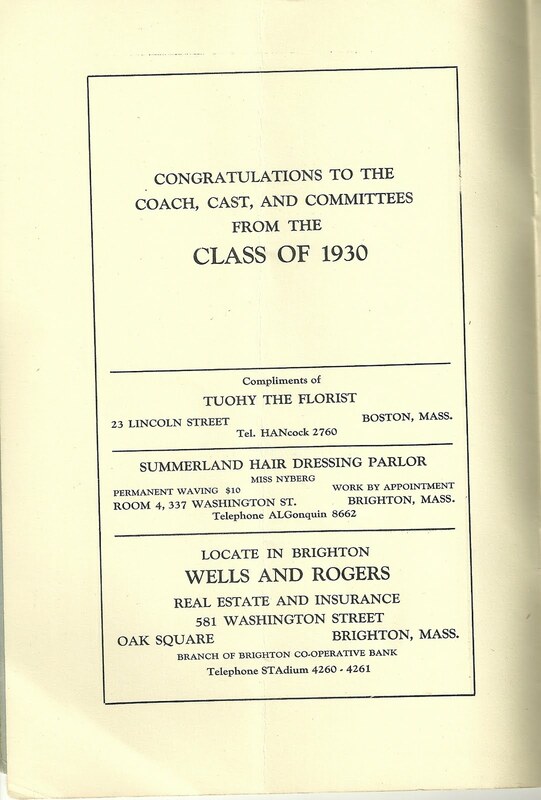 School Director Tom W. Folsom was Thomas William Folsom, born 18 October 1883 at Cambridge, Maine, the son of William Ardell Folsom and wife Teresa Florence (Chadbourne) Folsom. On 22 October 1904 at Cambridge, Maine, Thomas William Folsom married Bessie Edna Sawyer, who was born 31 March 1886 at Cambridge, Maine, the daughter of Samuel and Nancy Ann (Watson) Sawyer of Cambridge and Parkman, Maine. The couple farmed at Cambridge, Maine, and raised a family of at least four children. Thomas William Folsom died at Hartland, Maine in 1969. 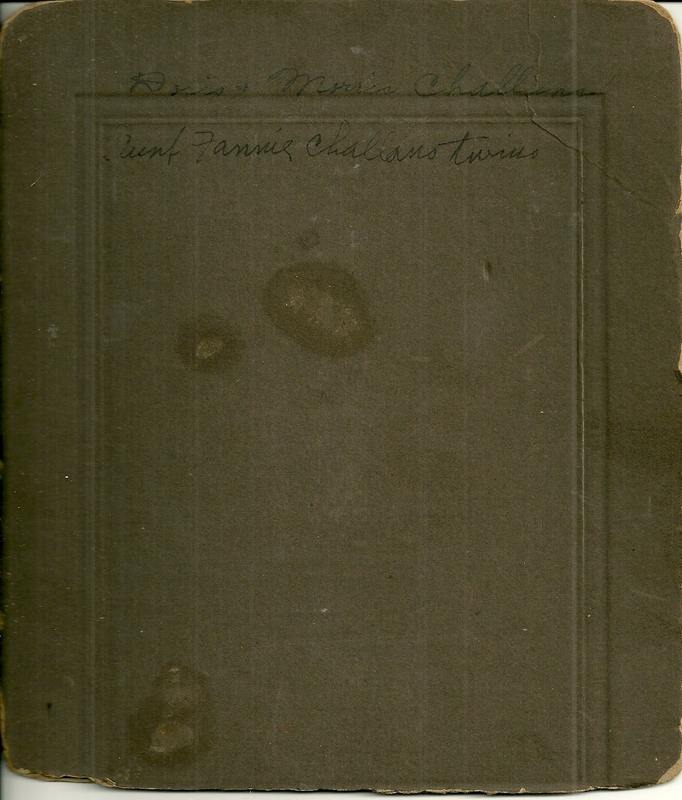 School Superintendent F. Elwin Folsom was Frank Elwin Folsom, cousin to Thomas William Folsom above. 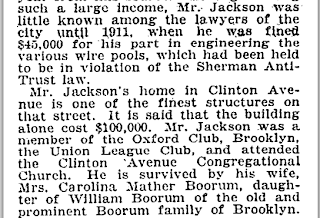 He was born 13 November 1891 at Cambridge, Maine, the son of George Elmer Folsom and wife Marcia L. (Ham) Folsom. On 24 December 1921 at Harmony, Maine, Frank Elwin Folsom married Pearl Marie Magoon, who was born 6 January 1892 at Harmony, Maine, the daughter of Gorham D. and Lois N. (Poland) Magoon. The couple farmed at Cambridge, Maine, and had at least three children by the time of the 1930 Census. 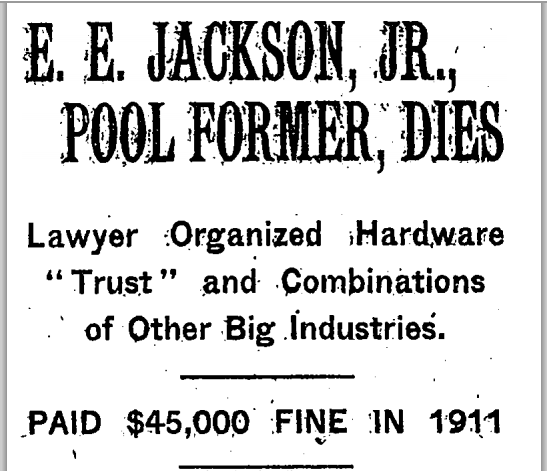 Frank Elwin Folsom died in 1975 at Cambridge, Maine. 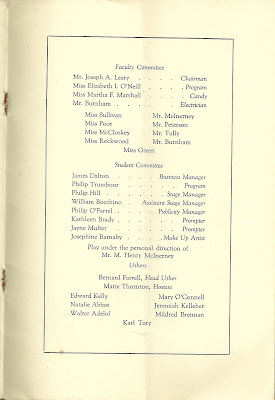 Charles C. Bailey was Charles Carrol Bailey, son of School Director Carrol Francis Bailey, mentioned above. He was born 10 December 1806 at Deer Isle, Maine, the son of Carrol Francis Bailey and first wife Etta Frances (Ball) Bailey. 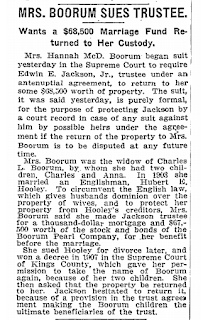 On 19 January 1929, Charles Carrol Bailey married Erma D. Bowdoin, born 23 November 1905 at Waterville, Maine, the daughter of George Stilman Bowdoin and wife Edith Mabel (Richardson) Bowdoin. In the 1930 Census of Cambridge, Maine, Charles was listed as working on a farm. The couple had no children. 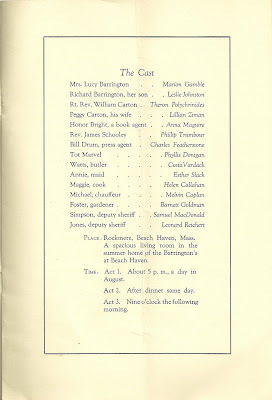 I believe Charles Carrol Bailey died at Torrington, Connecticut in 1988. 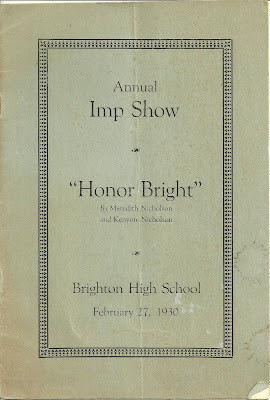 Dwight B. Ham was born about 24 April 1903 in Maine, the son of Frank C. and Marcia Leola (Bailey) Ham. 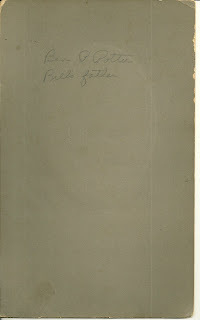 Dwight married Elena B. Littlefield of Guilford, Maine, on 28 August 1926. She was born about 1900, the daughter of Sewell and Isabel (Smith) Littlefield. In the 1930 Census, the couple was living at Guilford, Maine. Dwight was working as a teamster at a lumber mill. There were no children listed with them. Dwight died in 1964 in New Hampshire. Raymond A. Libby. 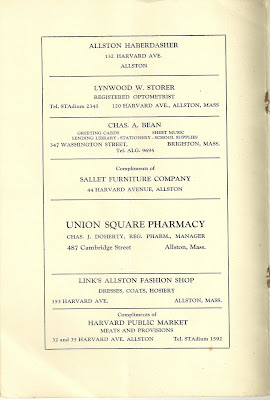 I wasn't able to find out a Raymond A. Libby in Cambridge, Maine, though I did find a Libby family living there. Perhaps a reader has information about him and will leave a comment. Clarence L. Libby. Again, I wasn't able to find out much about him, though it's possible he was the son of Leo and Gertrude Libby, who were all living at Foxcroft, Maine, in the 1920 Census. 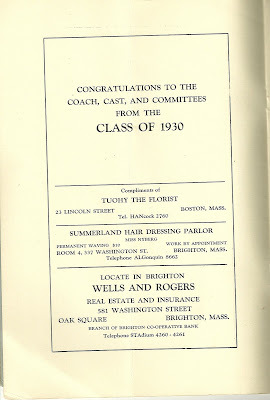 A Clarence L. Libby of Skowhegan married Della L. Witham of Oakland, Maine, on 3 July 1929. The three Stuart siblings: Lizzie R. Stuart, Elwood A. Stuart and Hazel A. Stuart. Their parents were Harry Burton Stuart and wife Cora A. (Crockett) Stuart. Elizabeth Ruth Stuart was born 3 February 1900 at Cambridge, Maine. On 14 June 1922 at Corinna, Maine, Elizabeth married Nelson Freeman Gilman. On 10 November 1941 at Portsmouth, New Hampshire, she married Homer Cooley. Elizabeth died in 1994 at Norridgewock, Maine. Elwood Alden Stuart was born 28 June 1902 at Cambridge, Maine. On 14 September 1929 at Cambridge, he married Verna Mae Bean, who was born 22 June 1914 at Cambridge, Maine, the daughter of Ray Earl Bean and wife Maggie May (Thurston) Bean. The couple was living at Cambridge, Maine, at the time of the 1930 Census. Elwood was a mechanic at an auto repair shop. There were no children living with them at that time, but it was early in their marriage. Elwood died in 1969 at Hartland, Maine. Hazel Audrey Stuart was born 3 September 1903 at Cambridge, Maine. On 30 January 1926 at Cambridge, she married Ivan Bertel Foss, who was born 20 August 1897 at Abbot, Maine, the son of George W. and Rose E. (Hilton) Foss. Hazel and Ivan had a daughter, born in 1927. Sadly, Hazel died in 1931 at Parkman, Maine. 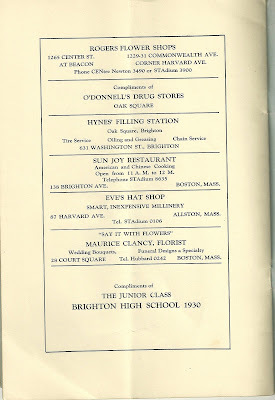 Clyde L. Watson was born about 8 February 1906 in Maine, the son of Samuel E. and Crissie E. (Hooper) Watson. On 31 October 1931, Clyde married Edna M. Chapman, who was born about 1913 in Maine, the daughter of Byron M. and Blanche E. (Morrill) Chapman. 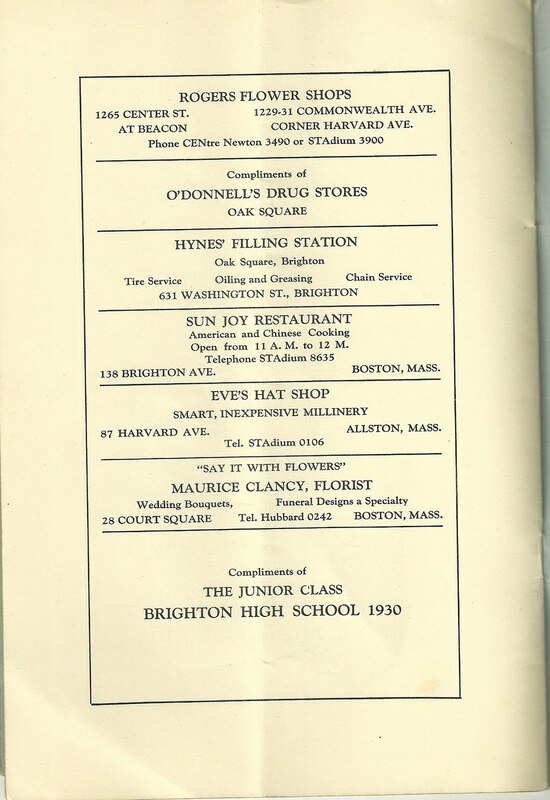 Clyde died at Cambridge, Maine, in 1961. Madalene E. Whittemore, possibly Madalene Bernice Whittemore, was born 20 October 1905 at Harmony, Maine, the daughter of Coney Elnathan Packard and Berle Whittemore. Madalene's mother Berle married twice after Madalene was born, and she can be found in the Censuses listed under the surname of her stepfather of the time. 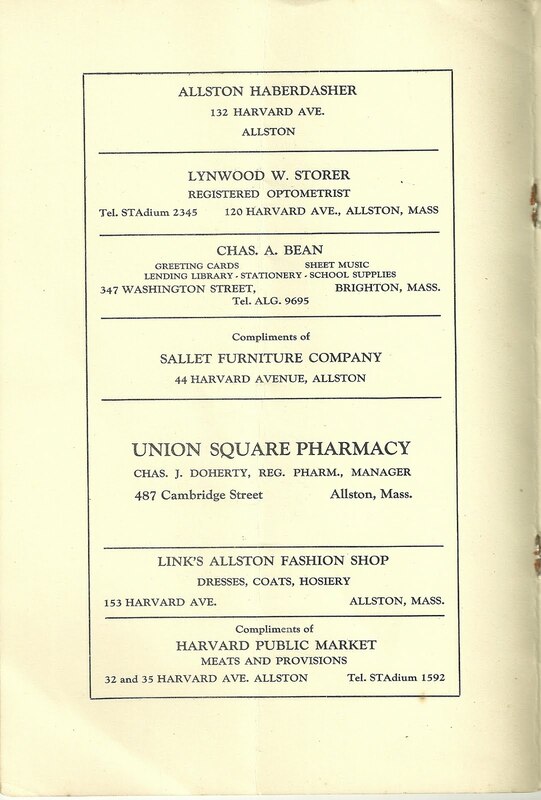 On 15 August 1921 at Auburn, Maine, Madalene married Charles A. Deering, who was born about 1905, the son of Grover and Alma Inez (Chase) Deering. I lost track of them after that date. 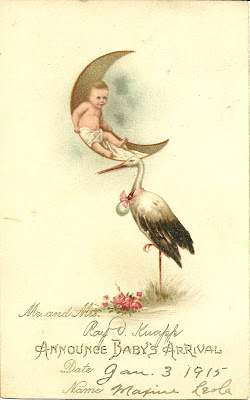 Cute postcard birth announcement for Maxine Leola Knapp, born 3 January 1915 at Kingfield, Maine, the daughter of Ray Donald Knapp and wife Bernice L. (True) Knapp. Maxine's paternal grandparents were Philo R. and Cora D. (Larrabee) Knapp. Her maternal grandparents were George Henry True and wife Flora (Voter) True. I believe Maxine never married. 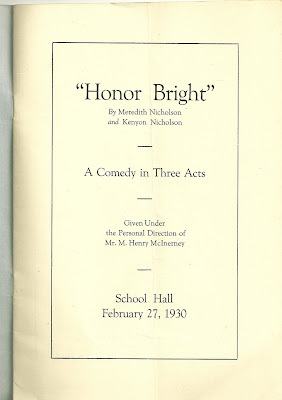 She graduated from Colby College in 1936 and worked as a secretary at various banks in Augusta, Maine and Portland, Maine, and at the Ski shop at Sugarloaf Mountain near her hometown of Kingfield. She died in 1999 at Farmington, Maine. 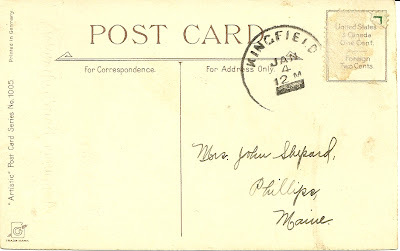 The card was addressed to Mrs. John Shepard at Phillips, Maine. I found more than one possible John Shepard in the Phillips area, a John and Lucy Shepard, a John and a John and Clista Shepard, and perhaps more. If you have any corrections, additions or insights regarding the people mentioned here, please leave a comment or contact me directly. 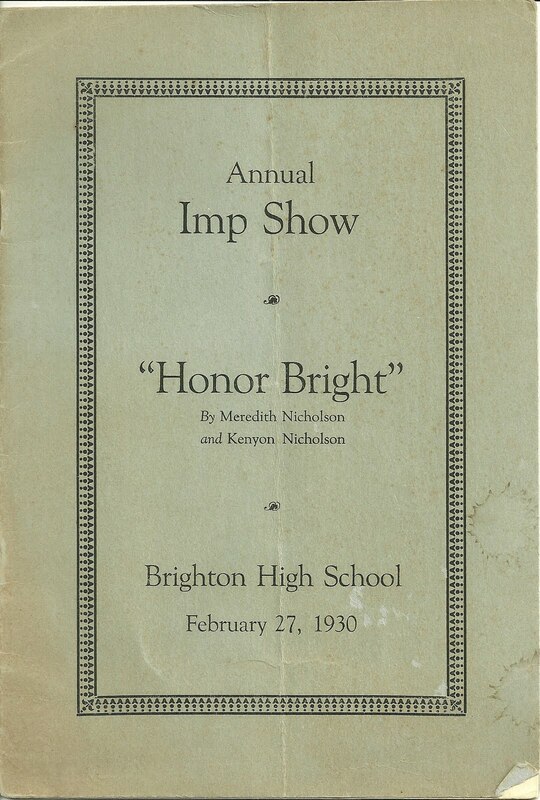 Program for the Annual Imp Show at Brighton High School, Brighton, Massachusetts of February 27, 1930. 9" x 6" booklet of 8 interior pages. Place: Rockmere, Beach Haven, Mass. 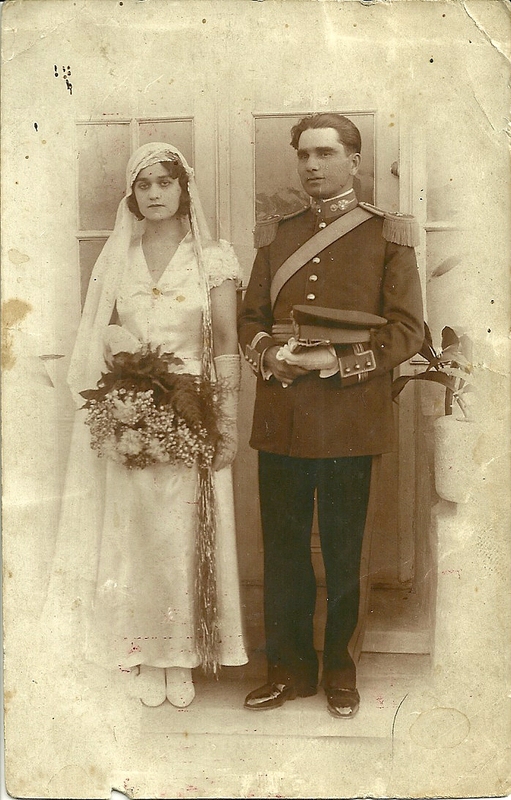 Real Photo Postcard showing a newlywed couple identified on reverse as Marie and Victor, with what appears to be a marriage date of 30 April 1933. 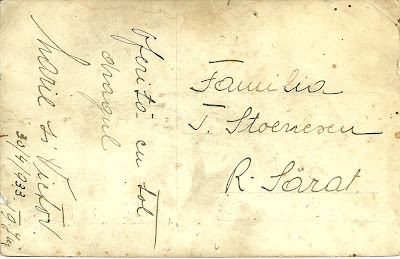 The postcard's intended recipient is T. or J. Stoenescu, R. Sarat, which is possibly Ramnicu Sarat in Buzau County, Romania. There's no stamp, marking or other evidence that the card was mailed. 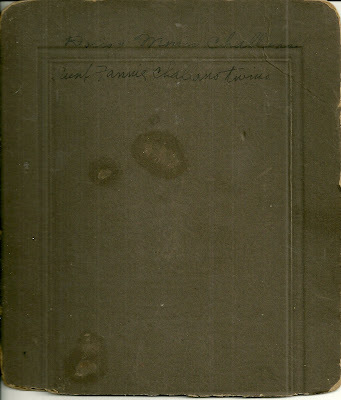 The language may be Romanian, and the photograph may have been taken either in Europe or in North America. I'm leaning toward the former, as the groom is uniformed. 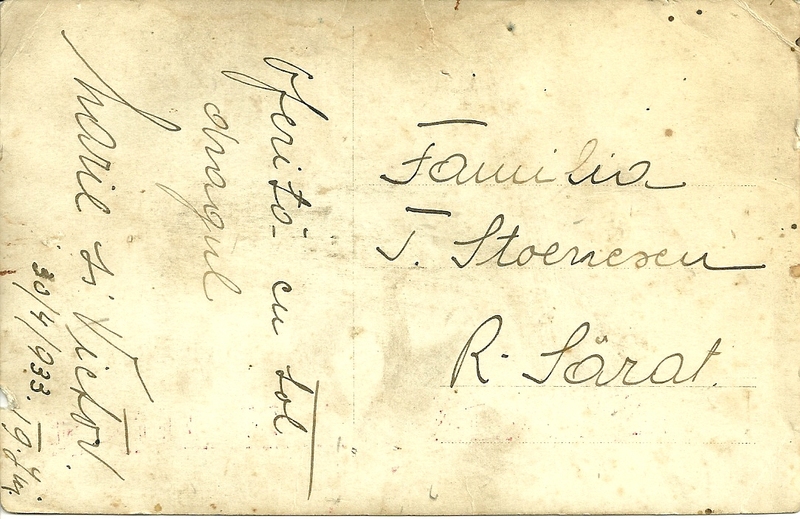 From the translator: The card is addressed to the family of Mr. T. Stoenescu. Marie and Victor simply say: With all our love. The date seems to be followed by the name of the Romanian town Târgu Jiu. If you have any insights into the identities of this couple or the card's recipient, please leave a comment or contact me directly. 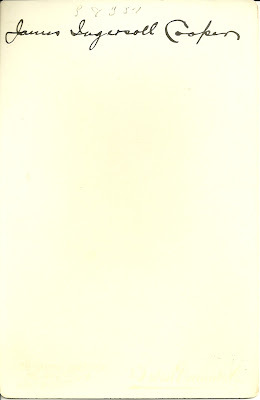 1905 Greetings Booklet for Old Home Week at Madison, New Hampshire, approx. 5-1/2" x 7-1/2" with 70 pages, loaded with photographs, names and interesting facts.